inMotionNow ™ is the leading provider of workflow solutions for enterprise creative and marketing teams. Our SaaS solutions enable businesses to better manage production workflows and get creative content to market faster. Founded in 1999 as Proof-it-Online, our company introduced the industry’s first online proofing solution. In 2009, we developed and launched inMotion, a new workflow application to facilitate video and animation review, and are now proud to serve over 500 enterprise customers. As we’ve grown, inMotion has evolved into much more than just an online proofing tool and is now a complete work management application — helping creative and marketing teams manage their projects from initial request to final approval. In 2012, we formed inMotionNow, Inc. to reflect our growing suite of workflow and project management tools. 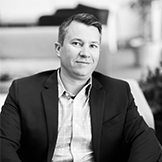 Ben Hartmere has more than 15 years of business development and executive management experience delivering enterprise-level software platforms and related services. He holds an MBA from UNC Kenan-Flagler. 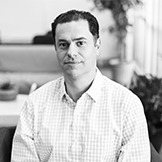 Prior to joining inMotionNow, Ben served as Vice President of Business Development for FileONE, and led the company through a successful acquisition in 2007. 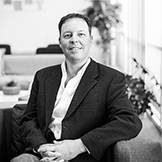 Phil Vanderwoude is the COO of inMotionNow. Phil joined inMotionNow in 2012 and brings over 15 years of experience providing operational and financial support and thought leadership. Chris Trauzzi is the CTO of inMotionNow. 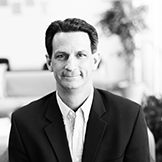 Chris brings more than 18 years of product development, consulting, and executive management experience in the areas of enterprise workflow, collaboration, and information technology strategy and operations. Alex is a seasoned digital technology and marketing executive with over 15 years of experience occupying Director, VP of Marketing, and CMO roles at major organizations, including Pepsi, ESPN, USGA, the Financial Times, SageWorks, and LexisNexis. As CMO of inMotionNow, Alex leverages his industry experience to engage marketing and creative teams across a diverse range of industries that can strengthen the way they work and become more efficient by automating their workflow. Zee started out in the creative world early in her career, with positions in printing, graphic design, and traffic. 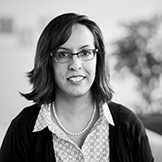 She has since cultivated a rich background in building and leading award-winning software services teams including technical support, account management, and content and knowledge management. Most recently, Zee was in the ecommerce industry helping retailers expand their footprint and attract more consumers, and led teams across North America, Europe, and Asia-Pacific. Zee is passionate about customer experience and believes in building a world-class team to help customers achieve greater success.